can’t live with ‘em, can’t live without ‘em. I make way too many models of these guys. Look at it this way- I shape five guys five 6’2’s, they all ride different, they’re all happy, they all ride 6’2’s. 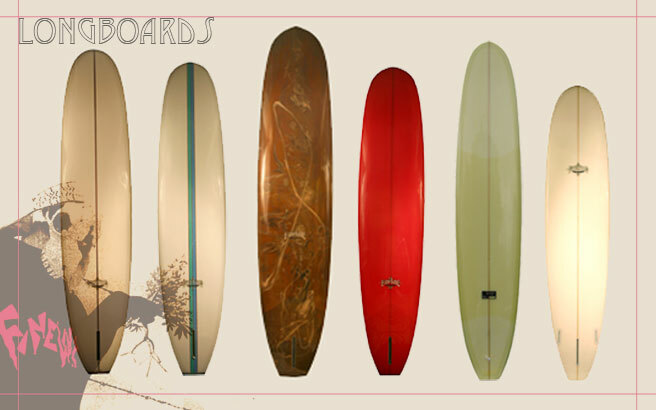 They’re all friggin’ 6’2s, they’re all squashtails, they’re all good shortboards. A 6’4 would be a different board. it’s just a question of if your step sequence gets you from one sweet spot to another. So new models always show up and old ones always get refined until they do exactly what they’re supposed to do. If they don’t, it’s time for a new model. Here’s a few. Believe me! There’s more.